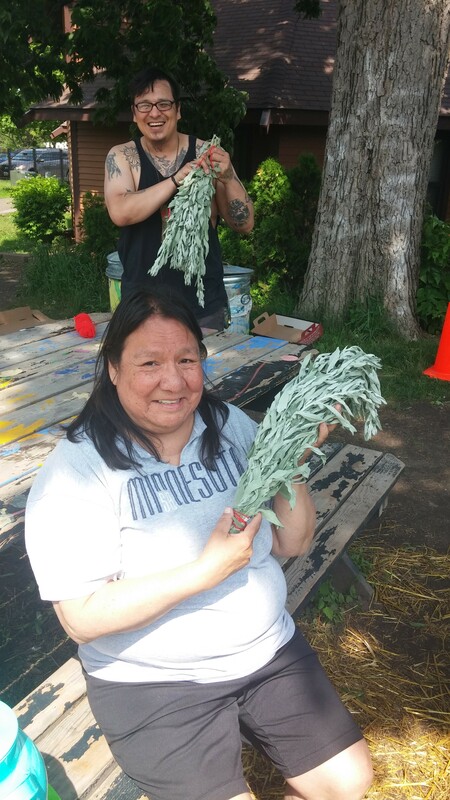 Mashkiikii Gitigan (Ojibwe for medicine garden) was created in 2013 on a formerly vacant, contaminated lot by the 24th Street Urban Farm Coalition as a way to address the food justice needs of people living in the Phillips community of South Minneapolis. 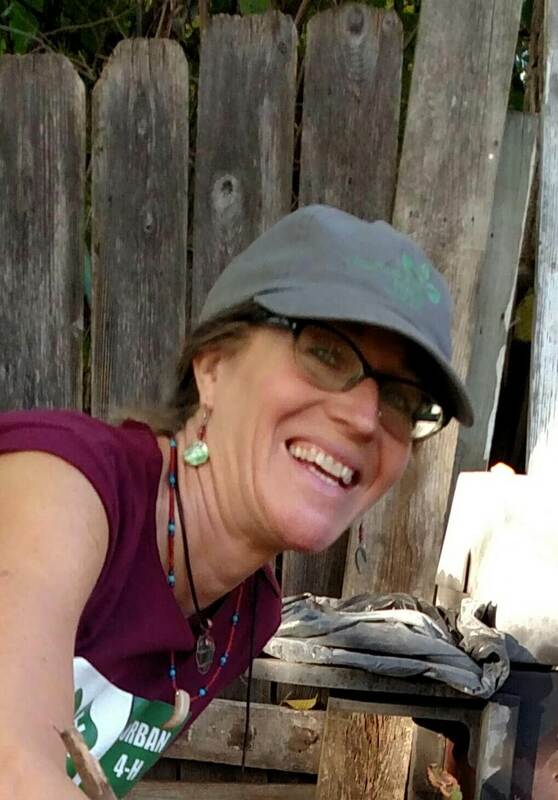 WEI’s Executive Director, Karen Clark, initiated weekly gatherings at the Indigenous People’s Task Force’s community center that continued faithfully for one year. 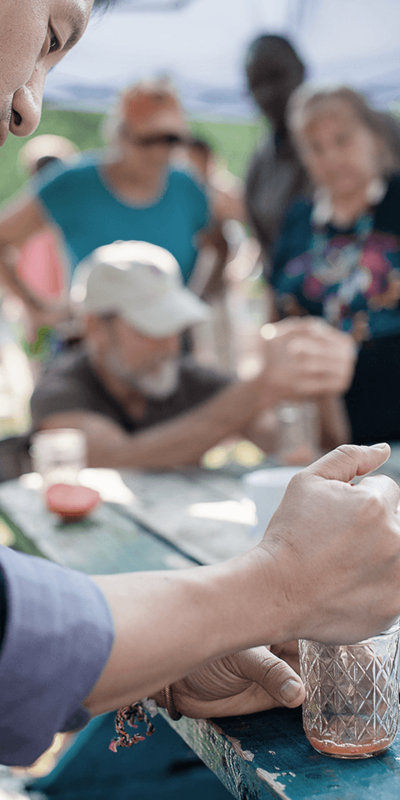 Six independent nearby organizations, including several residents, coalesced around their concern for lack of healthy food access and related health disparities with a focus on organic gardening opportunities in adjacent vacant lots. 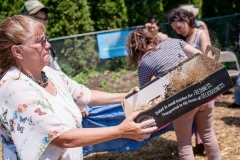 What emerged was the “24th Street Urban Farm Coalition.” The garden was blessed by Lilian Rice, an Ojibwe elder, as “Mashkiikii Gitigan.” This coalition is now in it’s fourth year. 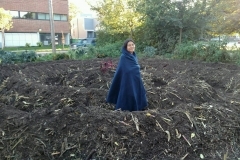 As a highly successful urban farm, it’s ongoing mission is to create and nurture the culture and practice of local food production, healthy eating, sustainable living, and related activities along the 4th Street Wellness Corridor and throughout the Phillips community, honoring and incorporating Indigenous Native American culture and traditions throughout. 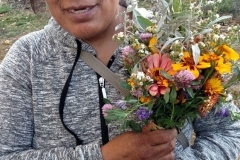 Members of the 24th Street Urban Farm Coalition include the Indian Health Board, Dream of Wild Health, the Women’s Environmental Institute, the Indigenous People’s Task Force, the Native American Community Clinic, the Ventura Village Neighborhood Association, and the Waite House. The Women’s Environmental Institute (WEI), serves as the fiscal sponsor for The Mashkiikii Gitigan. 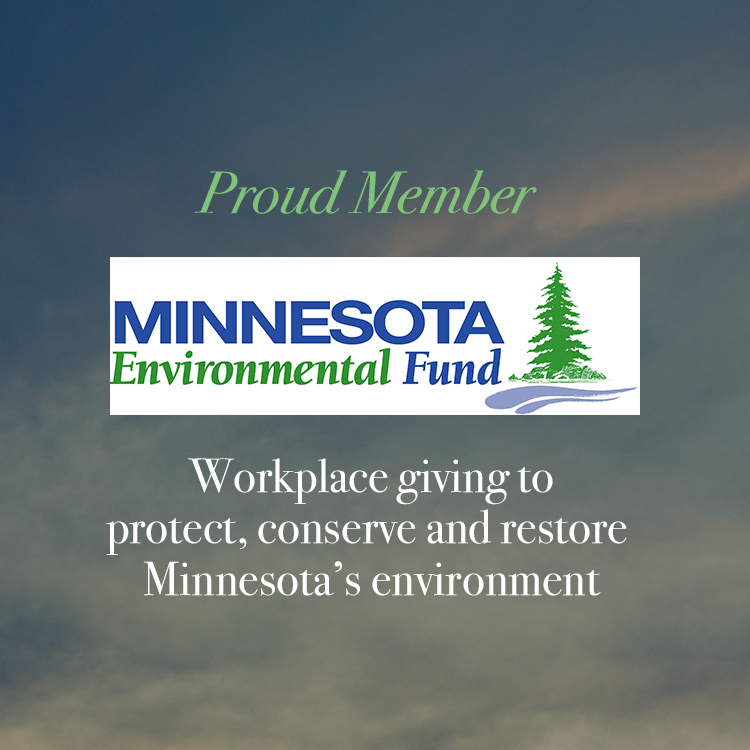 Employees include the lead farmer/coordinator/Educator, a part-time farmer, a part-time administrative coordinator/Educator as well as several adult interns, youth Step Up Interns, 4-H Club youth leaders and community residents who assist with seasonal farming activities. 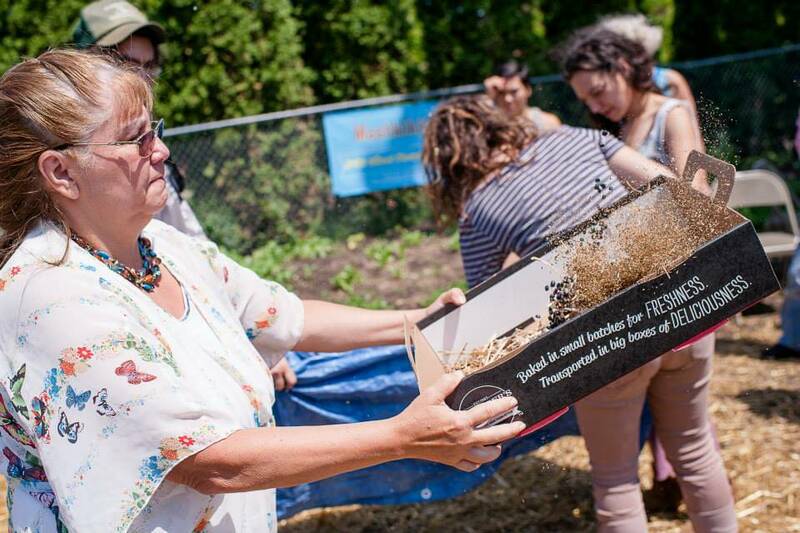 Because many residents face significant and complex obstacles to accessing fresh, healthy food, Mashkiikii Gitigan does more than provide a space for community members to have an opportunity to learn practical urban farming techniques. 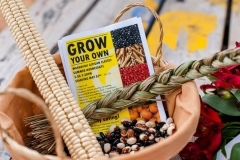 Residents may also take home fresh produce or stop by to enjoy the space as a local gathering place which reconnects neighbors to traditional Native American growing practices and community celebrations. Mashkiikii Gitigan hosts free “Grow Your Own Classes” each week (from mid-May through October) in which participants can learn gardening skills from our lead farmers and also gain knowledge from visiting specialists, and Native American Community Teachers. 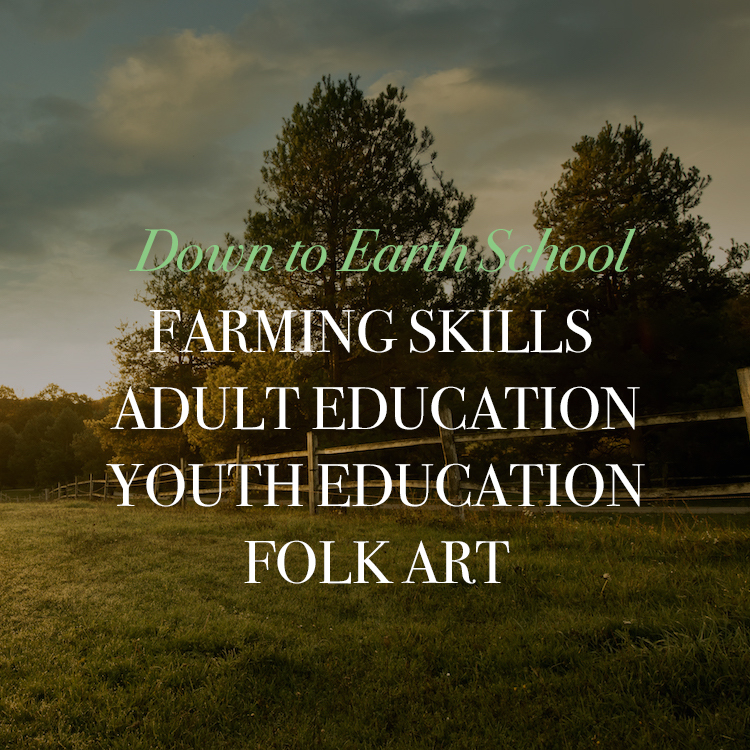 Examples of class topics include diabetes prevention, food preservation, permaculture design, sacred tobacco, Native Corn harvest and processing, composting and Bio-Remediation. Our curriculum includes Native American cultural teachings, which our Native community members teach during our classes. 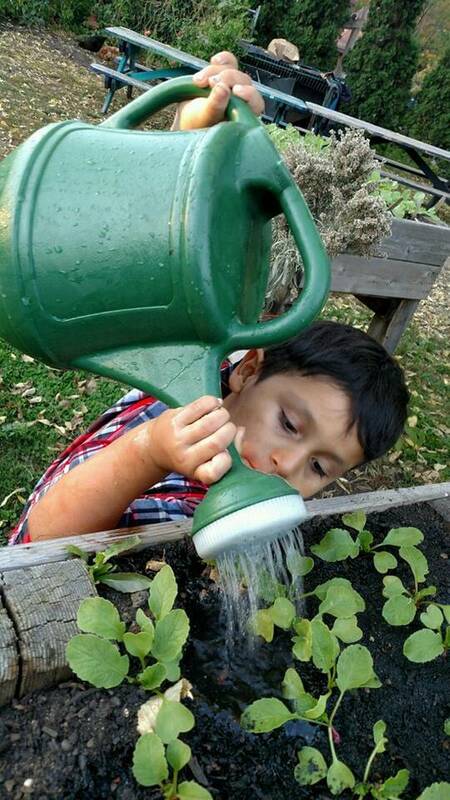 In addition, Mashkiikii Gitigan hosts the Good Nature 4-H Garden Club, which provides interactive and fun gardening education targeted toward younger students. Mashkiikii Gitigan also provides tours for groups, individuals, elementary school and university classes. 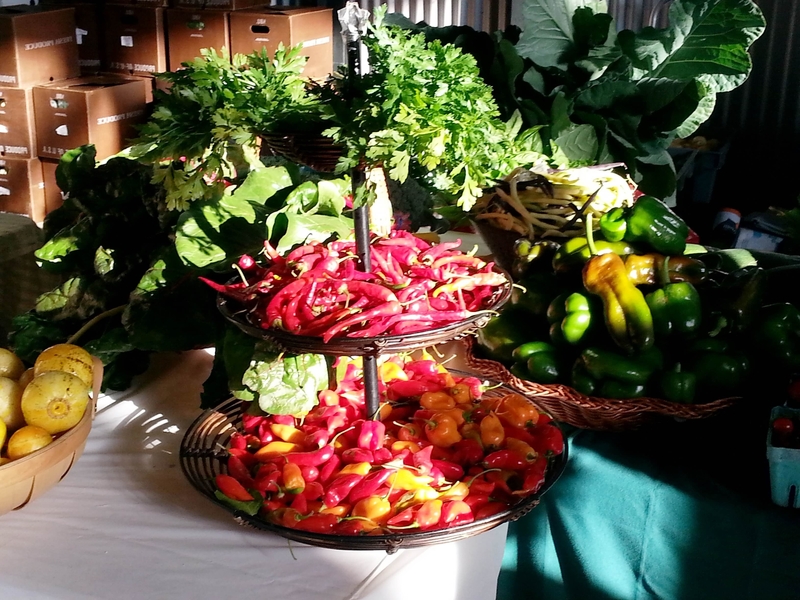 Every year the farm hosts a Spring Garden Blessing and a Fall community harvest celebration. In 2014, Mashkiikii Gitigan produced over 1,400 pounds of food and hosted nearly 1,500 visitors. 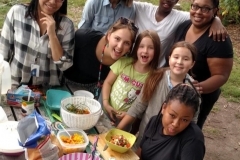 We provided thousands of pounds of vegetables to a local, free community café (Waite House Community Café) through a partnership with Native American chef Austin Bartold. Bartold and the rest of the Community Café staff serve free healthy lunches to low-income adults and children from the neighborhood. 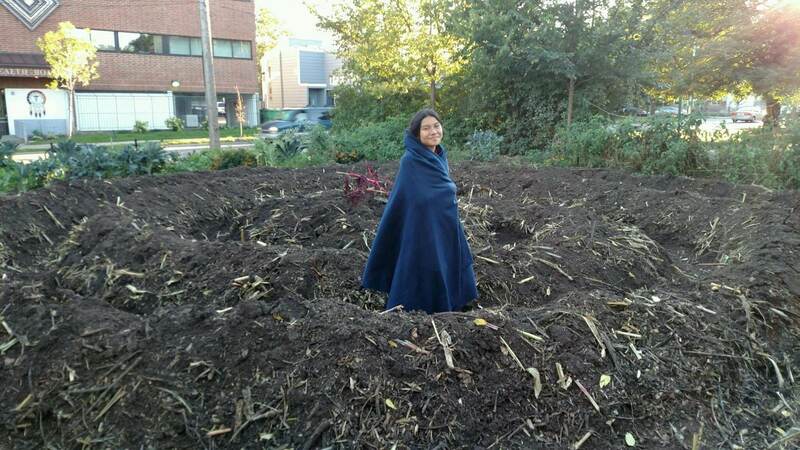 Mashkiikii Gitigan has a positive environmental impact on our local community. We embrace permaculture practices, use rain barrels for watering, and incorporate a portable chicken composter into our overall system. Mashkiikii Gitigan organically grows over 80 varieties of fruits, vegetables, herbs and flowers. 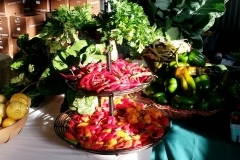 Many of our varieties include heritage and Native American traditional foods and medicinal plants. 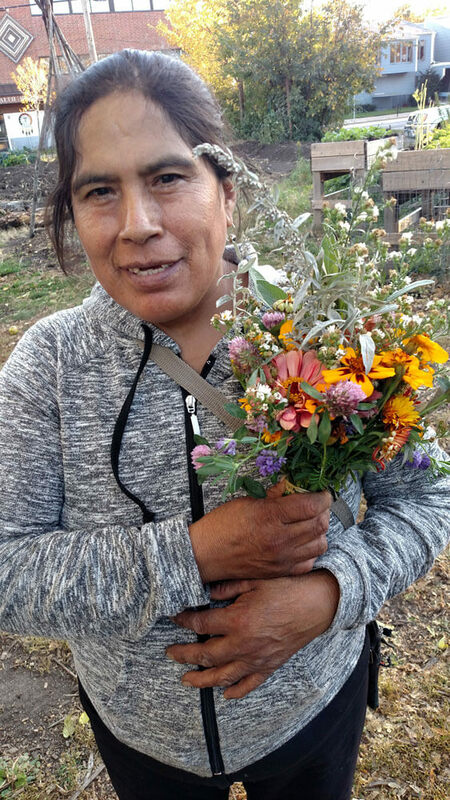 For community members interested in gardening at home, Mashkiikii Gitigan demonstrates sustainable methods and practices. 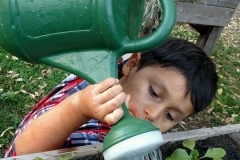 Examples include raised beds, companion planting, reusing resources, water harvesting through ancient irrigation methods and rain barrels, green teepees, raised potato cages, successive planting, and composting. It has also developed a unique method of marketing produce called the “Karma Market”—a free will donation determining market pricing. To date, this has been very successful and is part of the farm’s on-going plan to become more self-sustaining. 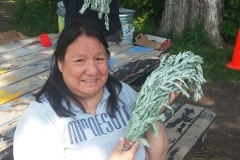 In 2015, Mashkiikii Gitigan tripled its farming space by adding another lot, generously loaned by the American Indian Community Development Corporation for the year. Staff and residents, including youth, also participated in several public policy initiatives. These included providing testimony for state legislation which added “urban agriculture” to the statutes; advocating for loosing of state restrictions from voluntary seed saving/seed exchange policies; and a prize-winning MN State Fair appearance that highlighted Native American urban agriculture by Mashkiikii Gitigan’s “Good Nature 4-H Club”. 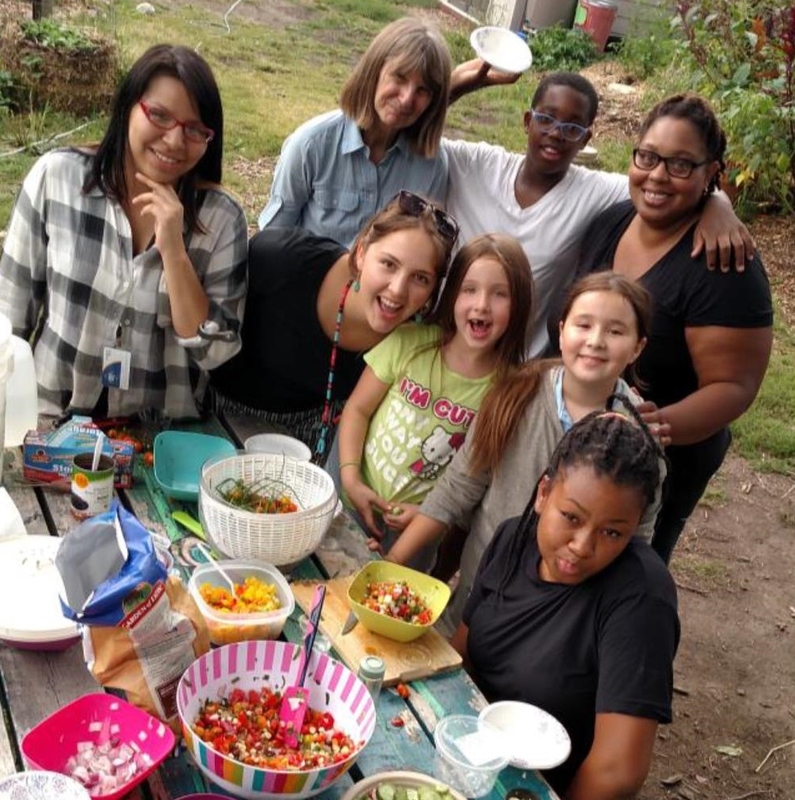 WEI supported staff include Christina Elias, Rosa Zamora Chimborazo, and Annelie Livingston Anderson as well as yearly student and adult interns and 4-H Club leaders. Funding to develop Mashkiikii Gitigan has been provided by Blue Cross Blue Shields Prevention Program, Ventura Village Neighborhood Association. 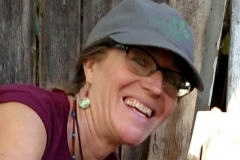 Plans to expand financial sustainability include the submission of numerous grants by the various Coalition members, a volunteer grant writer (Lauren Kramer) and on-going planning for expanding marketing farm produce, tours, speaking engagements, and classes.